It is clear from this week's social media round up that the Equo team and brand ambassadors are getting in the festive spirit. Guess what… just 11 sleeps 'til Christmas! Our little Equo Elf Emily from the office has been very busy designing some fun festive Equo logos. We LOVE them! Which one is your favourite? 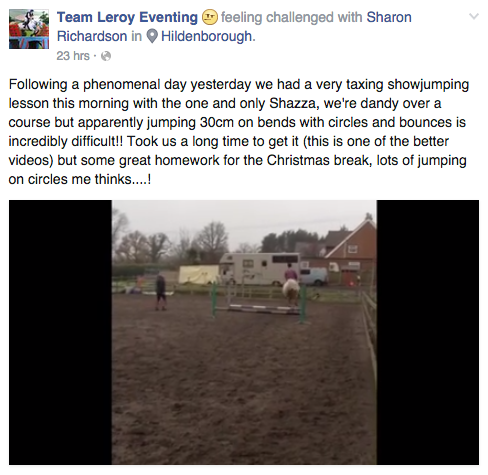 It seems that Chard Equestrian are big fans of the Christmas pudding! 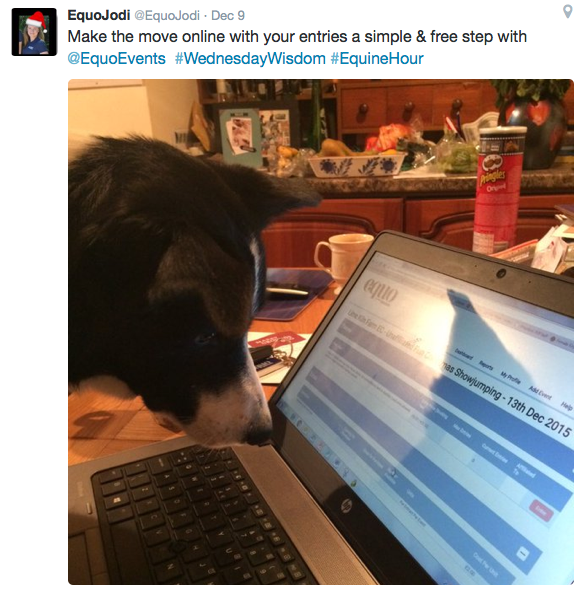 Talking of Christmas have you entered our #EquoElfie competition? 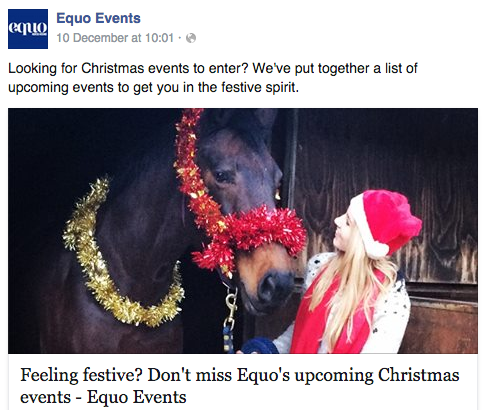 All you need to do is upload a a selfie of you and your horse getting in the festive spirit. You could win a £20 Joules voucher! We promise that it’s very quick and easy! In other news, we love this photo of Hally who won the best turned out class at Tumpy Green Equestrian Centre’s Christmas show on 6 December. 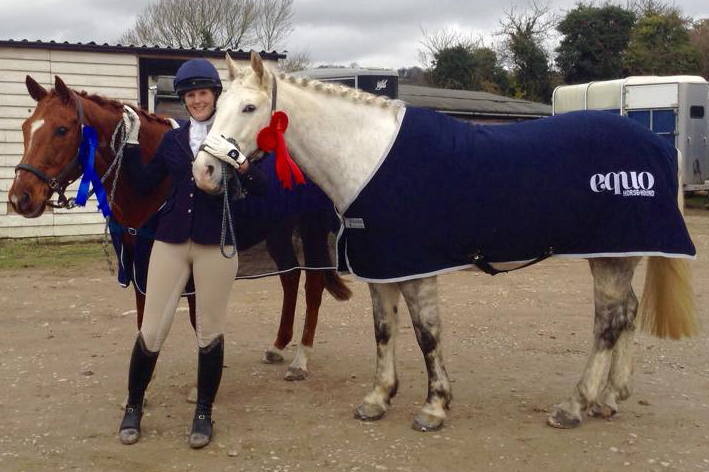 Well done Karen and Hally! 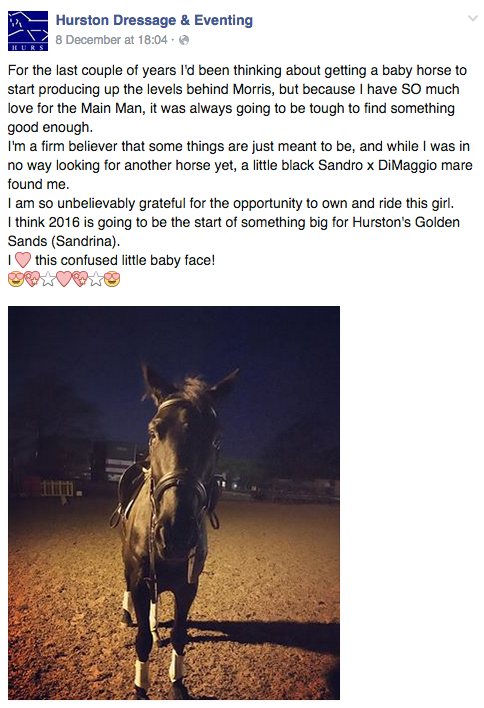 Jessica, our south-east brand ambassador, also seems to be having great success with her horses at the moment. Well done Jessica! We are also thrilled to announce that Martyn Johnson from Alnwick Ford Equestrian has won our monthly organiser draw for December. 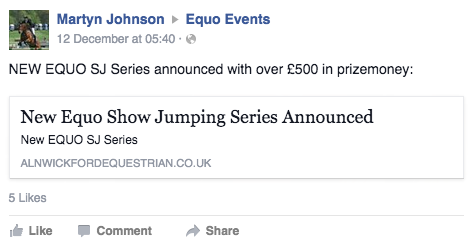 We’re very excited to see what they do with the money and can’t wait to enter some showjumping there with Equo! Finally it seems that everyone has had a great weekend. 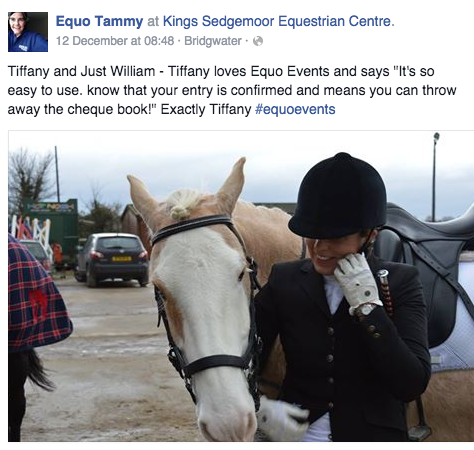 Equo’s south-west brand ambassador Ali has been off to the races (we’re very jealous), Equo Jodi has been out hunting, Jessica has had a successful lesson with Smokey and our central brand ambassador Leanne is reunited Buddy after her holiday. Welcome back Leanne! 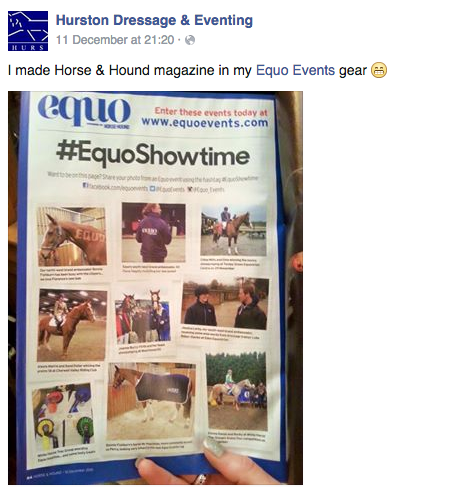 Do you want to feature in our social media round up? If so simply say hello via our Facebook, Twitter or Instagram channels! Your Equo Gossip Girl is taking a little break now (it’s Christmas after all) but join us on 4 January for our next social media round up… we’re sure there will be lots of festive fun to catch up on!